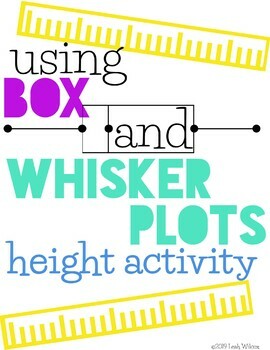 Check out this interactive Box and Whisker Plot activity! Students get the chance to practice their measuring skills using centimeter, while determining each other's height. 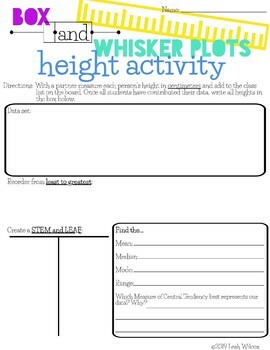 They will then use the data they collect as a class to create a stem and leaf diagram, dot plot, and measures of central tendency. This is a low prep activity. 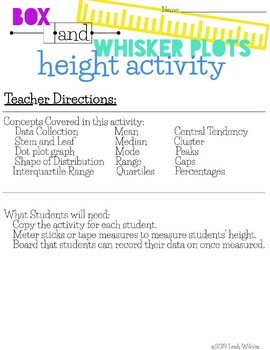 Once printed, the only other supplies you will need are either tape measures or meter sticks to measure students' heights. 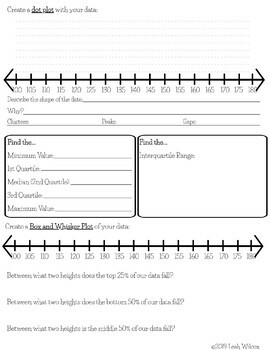 If you like this... check out my Measures of Central Tendency Dice Activity.